I have these cloisonne cases that I inherited from my grandparents. Does anyone know any information about these cases? There are no marks in the bottoms. 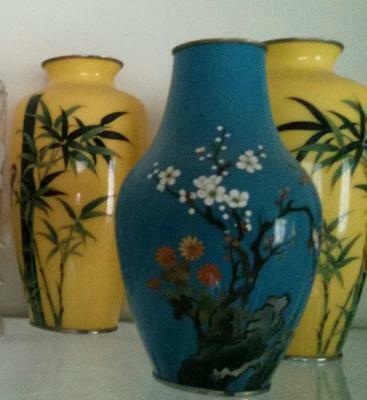 the two yellow vases in the back are very nice and valuable, the one in front is nice but common and not so valuable.